We had visited Ann Arbor for a quick weekend trip to see some friends and search for fairy doors (which we loved). I wanted to make sure we had a nice big breakfast before getting back on the road home. I researched many popular choices before deciding on Angelo’s. 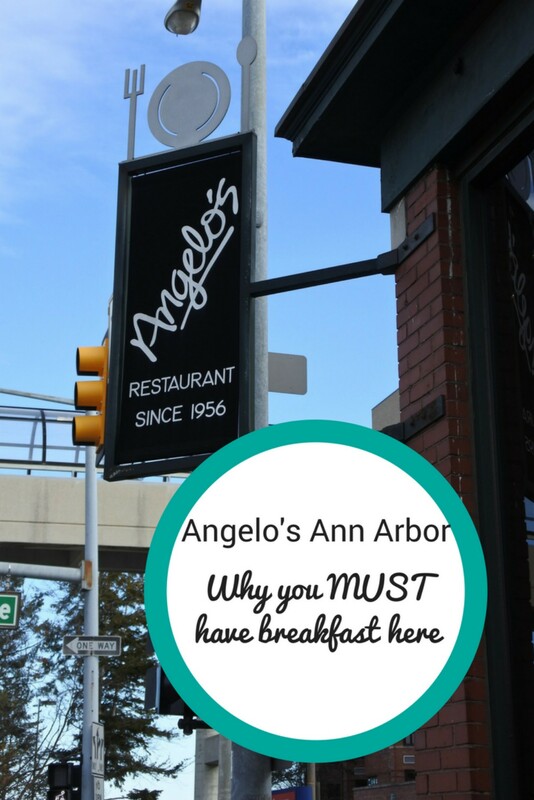 The classic breakfast menu at Angelo’s was so tempting we had to pick it. 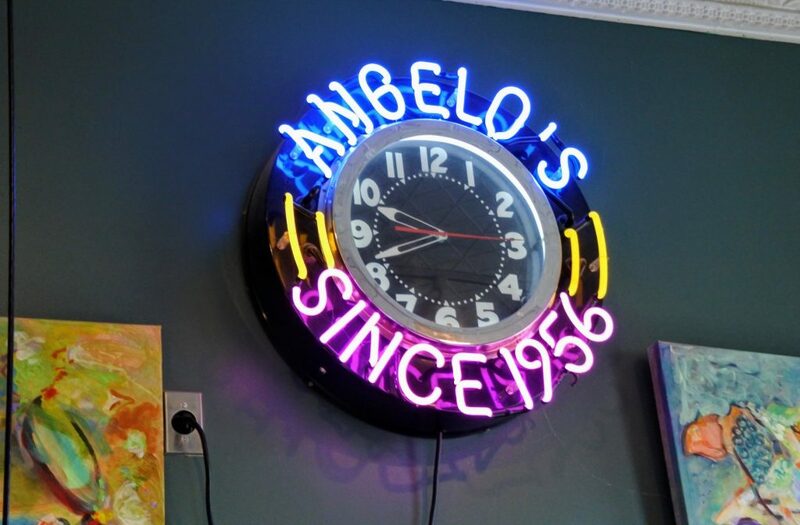 Angelo’s serves breakfast and lunch 7 days a week. It was originally opened in 1956 by Angelo and his wife, Patricia. When Angelo and Pat retired in 1986, their son and daughter-in-law took control of the business. There were 3 expansions of the restaurant in the 1990’s to accommodate the growing business. We arrived at 9:30 a.m. on a Sunday morning. The small parking lot was nearly full, but we didn’t need a spot. We had walked from our hotel to stretch our legs before our drive home. Fortunately, we were seated right away. 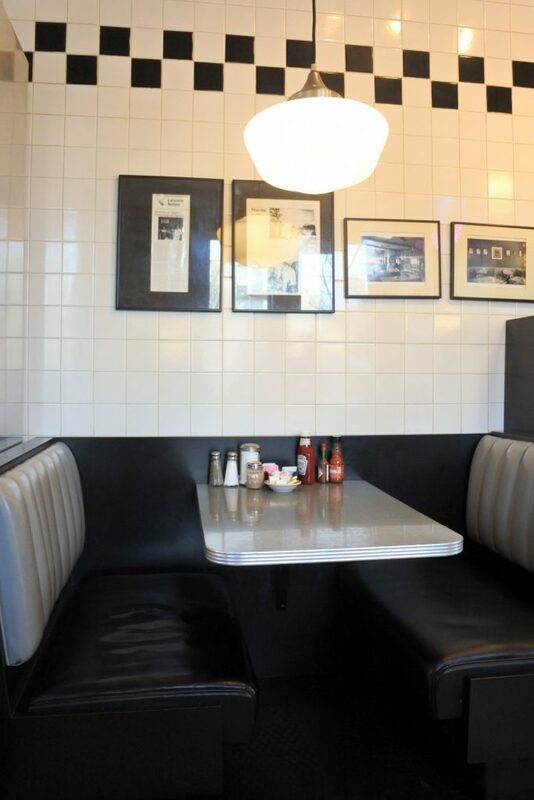 Angelo’s looks exactly like a good diner should, in my opinion. Eclectic art pieces (most made by a pair of Michigan natives), a neon clock, old photos on the walls and your basic assortment of booths and tables. I saw someone’s breakfast platter at the next table and knew we were in the right place. She had hash browns, eggs, ham, sausage, bacon and toast. Although I admired her dedication, I knew I had to show some restraint. I only ordered two eggs, ham, potatoes, and white toast. 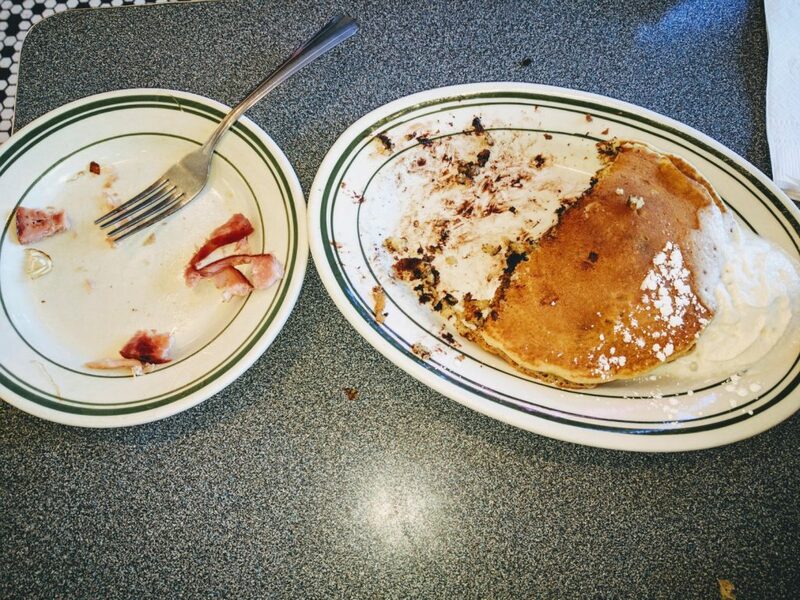 Elizabeth ordered chocolate chip pancakes and ham. The food was so good Elizabeth ate almost two huge pancakes and the entire piece of ham! My eggs, ham and potatoes were wonderful. It was exactly the big breakfast I was looking to indulge in before heading home. In a strange turn of events the star of my breakfast was the toast. I’m being so serious right now. I was surprised how amazing toast could taste. The toast was lightly browned and had just the right amount of melted butter already slathered on. I asked the server and she confirmed that the bread is made fresh onsite daily. I know it seems a little crazy, but the toast really was ah.mah.zing. And so was everything else! At 10:30 a.m. we left Angelo’s stuffed. As we exited we passed dozens of people waiting to be seated. It was crazy how much busier it had gotten over the course of an hour. If possible I would advise getting there early or be prepared for some waiting. But in our opinion the wait would be worth it (especially for the toast). Service at Angelo’s was fast, and the breakfast fare was great. We would totally go back the next time we visited Ann Arbor. 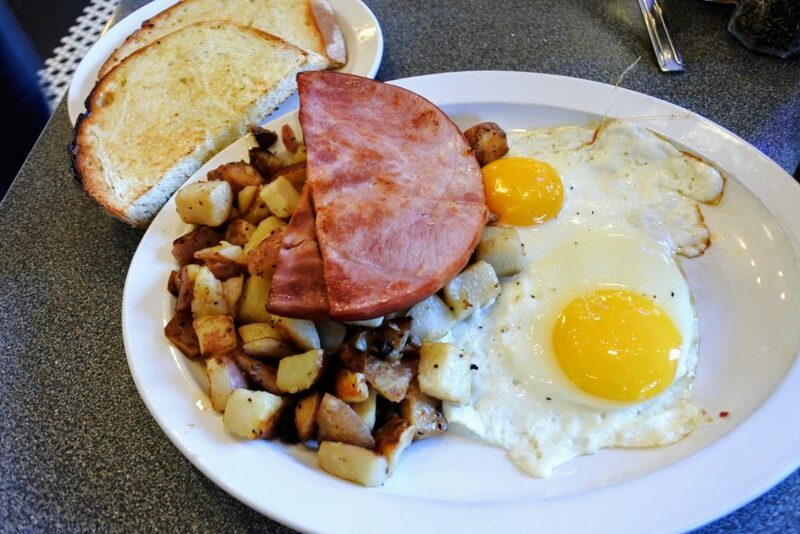 If you are looking for a classic, hearty, no-frills breakfast this is absolutely the place. P.S. I am weirdly obsessed with the white toast. Mr. Smart Mouse says I have a problem because I keep talking about it. Please try it and then comment so he knows I’m not totally off my rocker. Please note I was in no way compensated for this review. In fact, I didn’t plan on writing one, but we loved the place and food so much I had to share. Great that you visited one of Ann Arbor’s finest restaurant. Hope you can try the others too soon. Thanks for putting this post up.